Size: approx. 4 mm. Photo: 05/07/16, 9 pm. 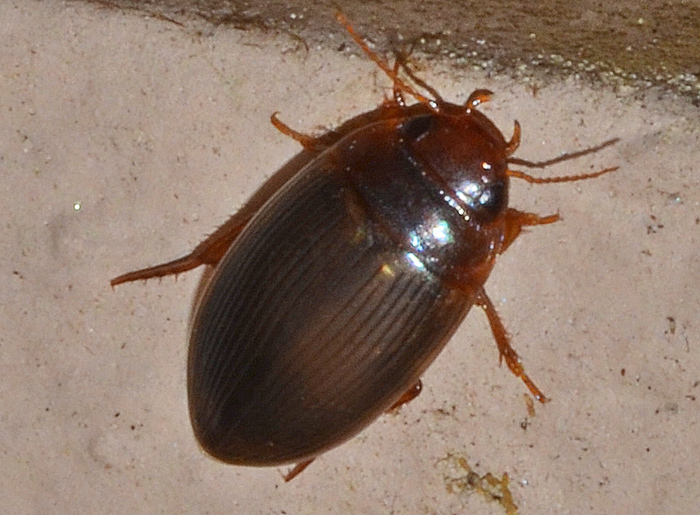 This small Predaceous Diving Beetle is Copelatus sp.. They are often found in temporary pools/puddles and in water bodies with accumulated organic debris (e.g. hollow trees). Florida is home to six species. Both larvae and adults feed on copepods, ostracods, springtails, and aquatic fly larvae.